We are happy to announce the launch of our open beta for Blue Mars Lite (download available here). The most notable feature is 3D Chat, which provides a new way to meet and socialize with others. 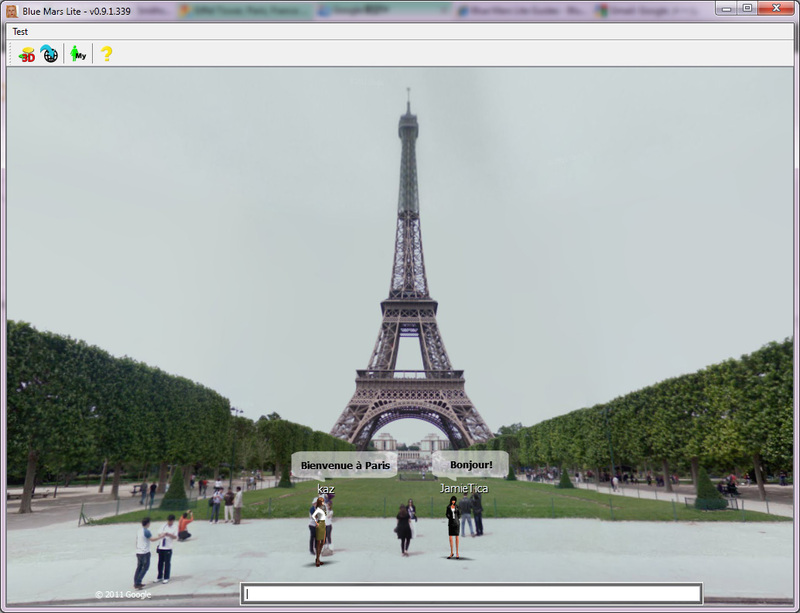 By integrating Google Street View, 3D Chat allows avatars to meet at real locations all over the world and experience them together. Upon launching Blue Mars Lite, users will have the option to explore a pre-set location, such as the Las Vegas Strip or NY’s MoMA. Or, users can create their own groups by pasting the location link from Google Maps Street View into Blue Mars Lite. Although not currently available, users will soon be able to use a Blink (Blue Mars Link) to Tweet the location of their Waikiki Beach Party, Eiffel Tower Soiree, or any other event. Invitees would then click on the Blink and if they have Blue Mars Lite, they will be taken to the location after login. Otherwise, they will be prompted to download the client. Vote on other avatars, or post messages in their profiles. Right-click on any avatar to open up their information window. Blue Mars Lite is compatible with most PCs and Macs, and is a considerably smaller download than the full PC version. Also of note: Blue Mars Lite is fully integrated with the rest of Blue Mars, so you can access your existing friends lists and inventories from the other applications. Please share screenshots and your event details with us on our FB page.